Come along with two delightful characters, Monte Becket and Glendon Hale, on a journey that’s a classic American tale and a wonderful, satisfying read. Becket is the author who hit it big with his first novel but can’t seem to come up with winning story idea No. 2. Hale — is that his real name? — is an old man building a boat on the shores of Minnesota’s Cannon River, but he’s a bit mysterious about his past. Together they go off in search of — just what is it this unlikely pair are looking for as they head west? What they find is an adventure every step of the way, a surprise around the corner of every chapter. Seemingly inching their way across the country during the time of train travel and the early days of the automobile, the duo encounter amazingly unique characters, and Enger’s way with words makes a reader feel as if they can picture each one and just have to know how these folk will impact the quest of Becket and Hale. Enger, who lives in Minnesota, resembles his author character Becket only that they both write. After hitting a literary grand slam with his debut novel “Peace Like a River,” this second novel — now out as a Grove Press paperback — is every bit as good. Never in your life would you think of the situations Enger places his protagonists, and just when you think you’ve figured out what’s going to happen next something totally unexpected either pushes our intrepid heroes further along the trail or postpones their journey for some ungodly reason. 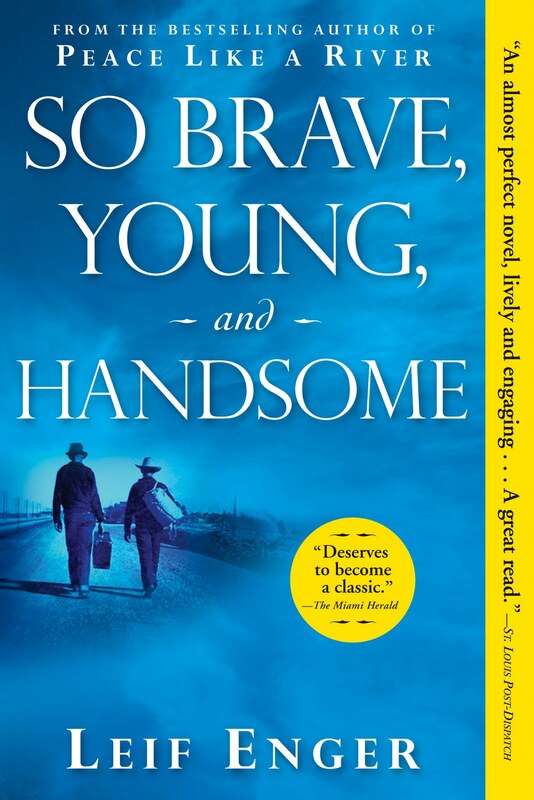 With choices to be made at every intersection, “So Brave, Young and Handsome” s a novel filled with moral dilemmas.